Yes. Petrol is down. Ringgit and stock market is up. People's confidence and consumption is on the rise as seen in the Chinese New year festivities. There are more and more vehicles on the road. Traffic jams are everywhere. Airports are full. Restaurants and holiday resorts are packed. People are shopping in up market malls. The 14th general elections are here. Hooray. You know that erections, oops, Elections are around the corner ! Malaysiakini : After last week's drastic drop in prices, petrol across the board will again trade at lower rates this week. The Domestic Trade, Cooperatives and Consumerism Ministry announced that from midnight, RON95 will trade at RM2.17 per litre while RON97 will trade at RM2.43 per litre, down six and seven sen respectively. 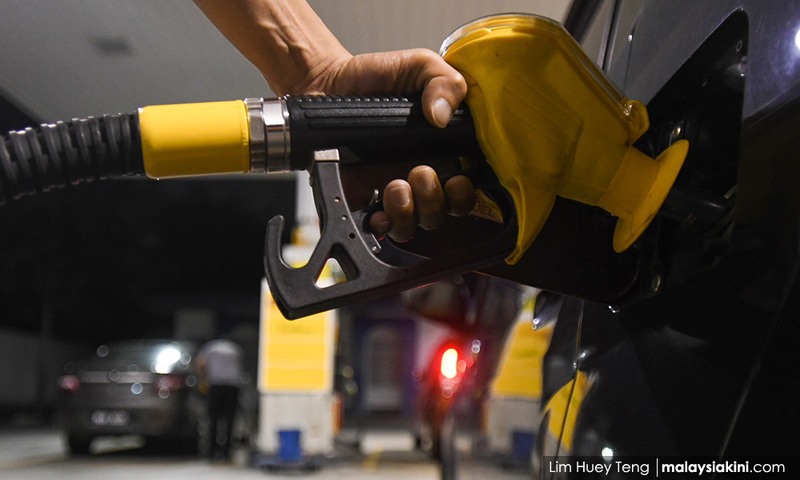 Diesel will trade at RM2.13 a litre, down six sen from last week. Due to budget constraints, Putrajaya stopped fuel subsidies in March last year and implemented a managed float system that is updated weekly. Fuel prices are determined by global oil prices based on the Mean of Platts Singapore and the ringgit's strength against the US dollar. Tariq Ramadan Could Face Charges in the U.S.